Pray for a stiff wind to come and knock down depression, to uproot it, to clear the view so that the sky becomes blue again. You need a hoe or a rake to weed out bad thoughts. You need fresh seed. Reach up and hold the hand that is offered, so you can get up off your knees embedded in the prickly ground, and stand. Breathe. Live. Relive. Grow. Thank you Nonoy! Cheers to you as well. We all feel it one day or another. Thanks for the visit. In efforts to raise awareness of those who suffer from depression and the struggle to see the brightly colored sky of possibilities. Beautiful, well written and I love the photo….. Thank you Aina. 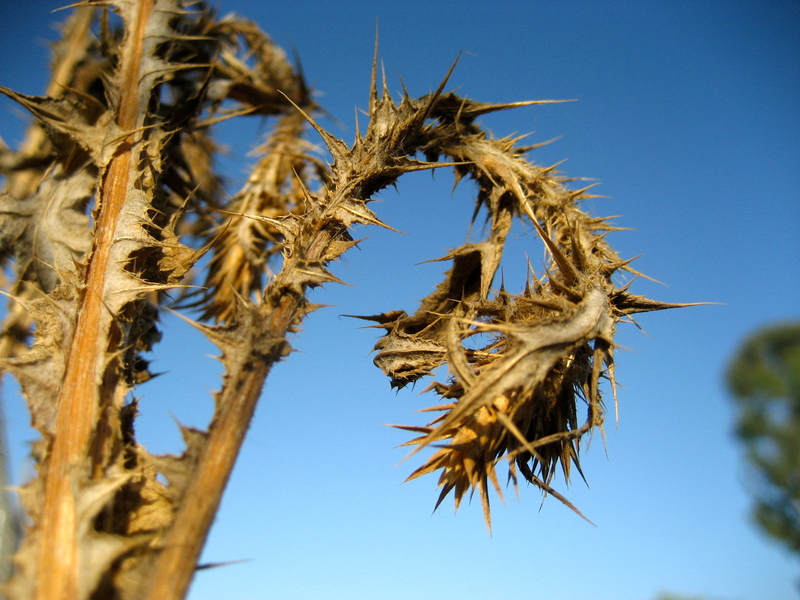 Depression is a thorny situation. Thank goodness beauty and writing help me make a path towards understanding it.